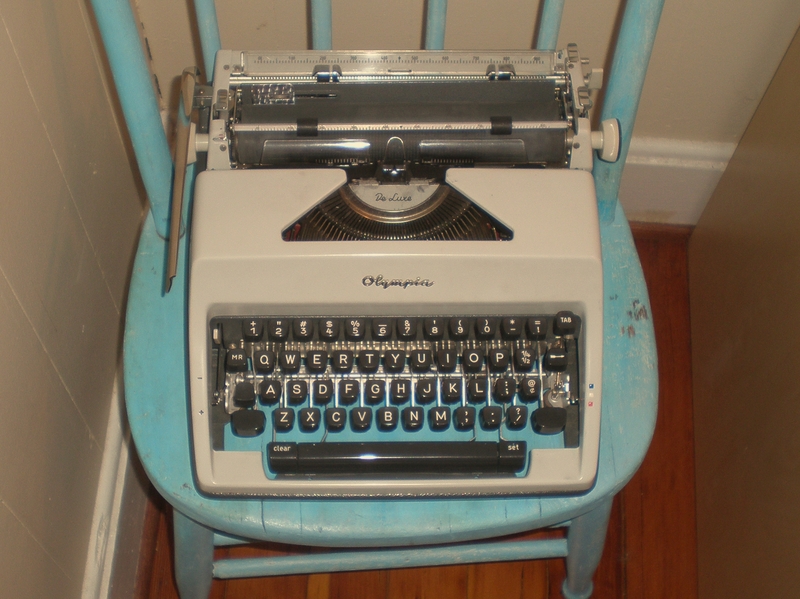 I bought this typewriter at a resale shop towards the end of July and the love affair continues. The machine has a beautiful cursive script and a purity in objective that I think is often taken for granted. It has only one purpose: to write. No distractions exist around it. Ideas can slide in and be ripped out. It is the second generation of tools for writers, the first being the pen and both are unkind with errors, slips of the finger or sometimes the mind. Let us please not forget the second generation, the village before the city, the human before the cyborg. Its loud, heavy, imprecise and so purely personal that its function can never truly be replaced.